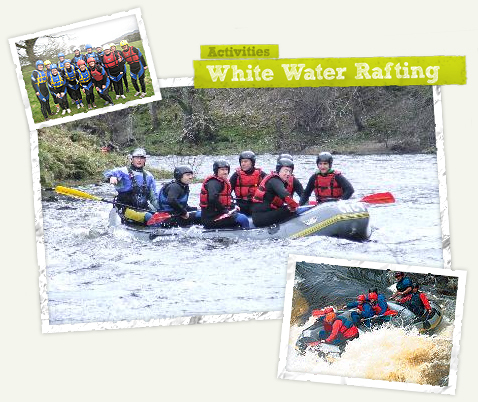 Few other activities can match the thrills and spills of white water rafting in Scotland! There's never a dull moment with our white water rafting packages as you tackle the raging torrents of some of Scotland's most exciting rapids. Available as part of our multi-activity days, our white water rafting packages include a thorough grounding in all the basic skills of rafting from our qualified instructors, which means that even if you've never been white water rafting before you'll soon be up to speed and ready for action. Aberfeldy is one of the most popular locations in Scotland for white water rafting. Edinburgh is only an hour's drive away, and the tumultuous waters of the Tay provide ample opportunity for you to experience the rip-roaring rollercoaster ride that is offered by white water rafting. From Aberfeldy, the river winds slowly through the Tay valley, giving novice rafters the chance to learn the paddling techniques they'll need when they hit the white water proper. The rapids at Grandtully will offer the biggest challenge, with exhilarating stretches such as "the Washing Machine" and "the Zoom Flume" giving you the opportunity to test your white water rafting skills to the max. For even more excitement, the River Tummel begins life 60 miles to the west of Pitlochry as the river Ba and runs east through several lochs until it meets the River Tay at Ballinluig. The river includes technical yet fun rapids such as the Zig and Zag, The Graveyard and Sharks Tooth, and final 18 foot drop into Loch Faskally is not to be missed! Aberfeldy in the heart of the Trossachs National Park is the other location we use for white water rafting. Glasgow is less than an hour's drive away from Aberfeldy, and the opportunities for top-notch white water rafting that the area provides are sure to give you an outing that you won't forget in a hurry! The Trossachs are home to some of Scotland's most beautiful and dramatic scenery, and white water rafting gives you an excellent opportunity to experience it from a unique point of view. 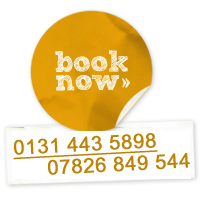 To find out more, visit our booking page.